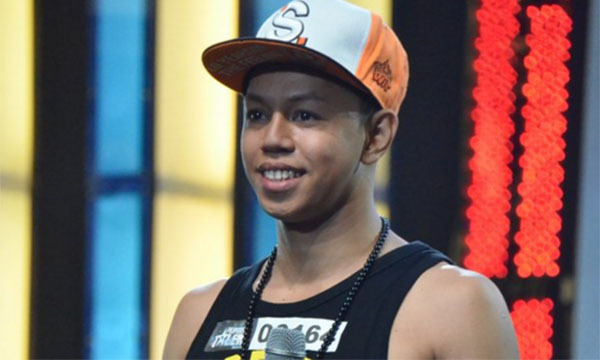 Contortionist Mark Dune Basmayor aka Bonebreaker Beast is going straight to the simi-finals after getting the golden buzzer from FMG on Sunday’s episode of Pilipinas Got Talent, March 13, 2016. “At first, I am not sure but in the end, I thought you did amazing. I appreciate your performance. Use your talent to get out of poverty. I am rooting for you to win this competition,” said Angel Locsin. “Great job. Add your talent to your job and show it to the world. Use your talent to improve your life,” said Vice Ganda. “I agree with vice,” said Robin Padilla. Judge FMG hit the golden buzzer for Mark Dune Basmayor. Watch his performance on on the video below. What can you say about Mark Dune Basmayor talent? Share your thoughts on the comment section below.